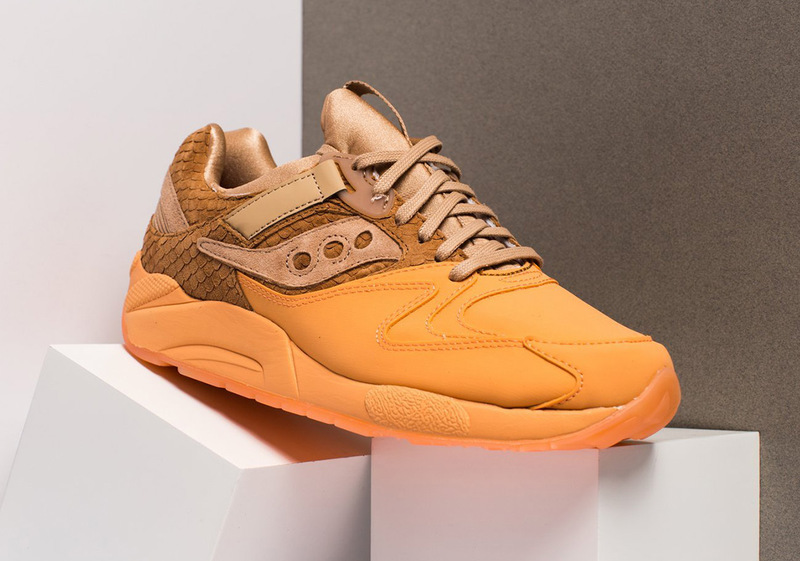 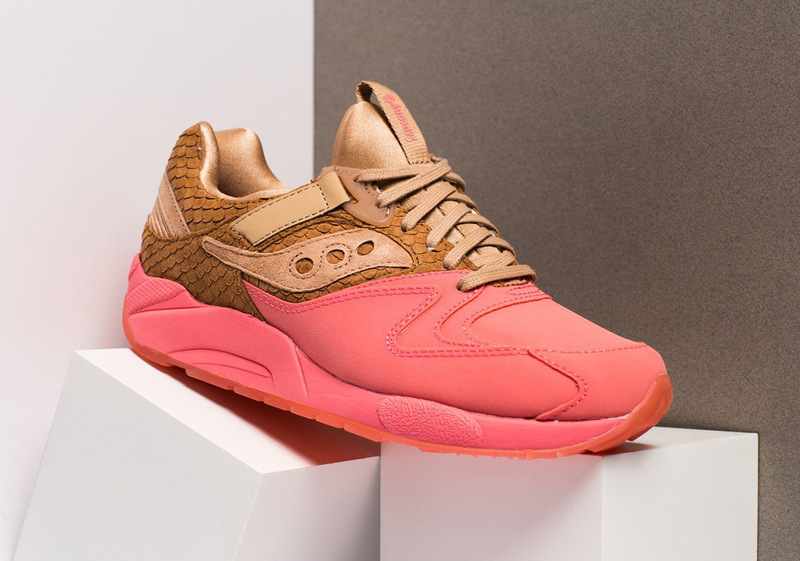 Saucony has mashed two wildly different aesthetics together for a pair of unique takes on their longstanding Grid 9000 silhouette, both featuring premium brown fishscale detailing on the heel and midfoot that fades into a bright colored rubberized toe. 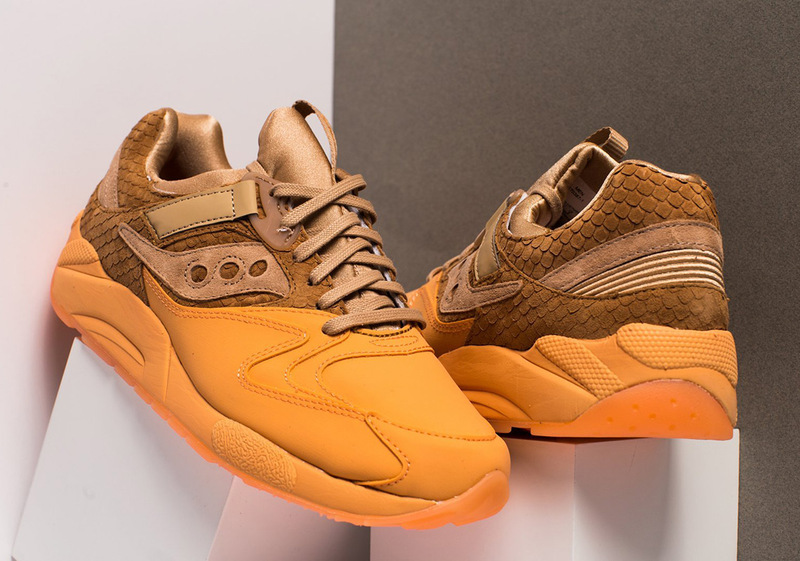 Both shoes are split into two vastly different parts with the heel, tongue, Saucony logo and lacing system dressed in a rich brown, while the toebox, midsole, outsole and a small portion of the midfoot are adorned with a bright pink or mango rubberized material making for a shoe that’s half luxurious, half flashy, and wholly original. 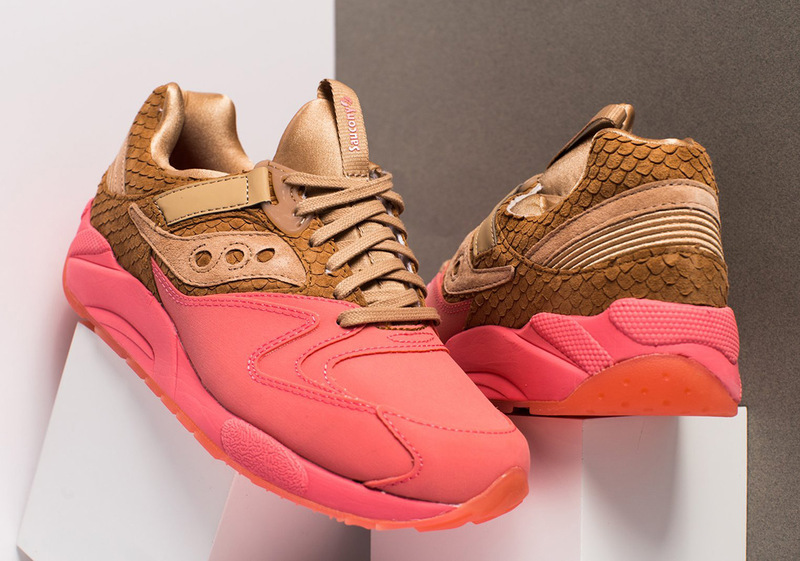 Both pairs of these head-turning, fish-scaled Grid 9000’s are available now at Oneness.